Are you looking for an affordable yet reliable game camera? For hunters, game surveillance is one important part of the action. 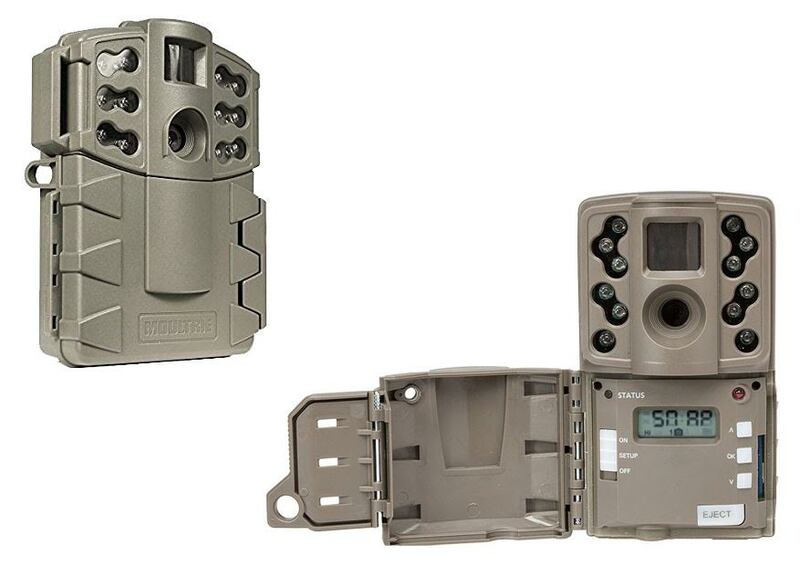 A game camera is a type of remote camera that features a heavily rugged, weatherproof construction, designed specially for extended unmanned outdoor use. Moultrie is one of the most well-known brands of game cameras, so, if you are looking for a game camera under a hundred bucks, Moultrie A5 and Moultrie A20 are most probably in your consideration right now. So, what’s the difference between Moultrie A5 and Moultrie A20? Let’s see below. One of the most meaningful differences between these two models is the optical resolution. Moultrie A5 is only armed with a 5 MP image sensor, whereas Moultrie A20 is armed with a 12 MP image sensor. Obviously, Moultrie A20 is capable of capturing much sharper, crisper, and more detailed images. To be fair, however, you may not really need high resolution settings for hunting surveillance, but it still has its benefits. Besides, Moultrie A20 can also shoot at a faster speed than Moultrie A5. Moultrie A20 has less than 1.0 second trigger speed, whereas Moultrie A5 has less than 1.5 seconds trigger speed. A faster trigger speed means that the camera will snap the pic almost immediately before the game runs away. For night vision, both models are armed with long-range infrared flash lights. The infrared lights are invisible, only visible to the cameras’ sensors, so they will not scare away the game. Both models have 40 ft detection range and 50 ft flash range. Moultrie A5 can only capture still images. There is a picture delay feature, which will take a picture every after 1, 5, 10, and 30 minutes. Moultrie A5 has an SD memory card slot that supports up to 32 GB. A set of batteries can last for over 8,000 shots. On the other hand, Moultrie A20 can be set to shoot at low 2 MP or high 12 MP. There is also the time lapse feature, but, most importantly, Moultrie A20 is able to record 640 x 480 videos as well. There are micro USB connection port and Power Port for external powering options. The SD memory card slot supports up to 32 GB, and a set of batteries can shoot up to 16,000 images. - Flash range: 50 ft. Between these two models, Moultrie A20 is obviously the way to go. It has much better resolution and more features. It can shoot more pics with each set of batteries.